Cargill held the inauguration ceremony of its world-class integrated poultry operation in Lai’an Anhui. Anhui, CHINA – 23 September 2013 - Cargill held the inauguration ceremony of its world-class integrated poultry operation in Lai’an Anhui today. Gary Locke, ambassador of the United States of America to China; Chris Langholz, president of Cargill Animal Protein China; Stan Ryan, corporate vice president of Cargill, and representatives from Chinese government agencies participated in the ceremony. The fully-integrated project covers each stage of the poultry supply chain, including chicken breeding, raising, feed production, hatching, slaughtering and processing. Cargill incorporated its state-of-the-art technologies and innovations in food safety, poultry breeding, animal nutrition, disease prevention, environmental protection and energy saving into the project. The facility has the capacity to process approximately 65 million chickens per year, as well as 176,000 metric tonnes poultry products per year. Total investment for the project is approximately US$250 million. The project, initiated in 2009, is a part of Cargill’s continuous effort to support the modernization of agriculture and food safety in China. In this project, Cargill utilized its global expertise to build an integrated supply chain and food safety management system. Based on the Codex Alimentarius and ISO 22,000 principles, food safety systems include well written and implemented Hazard Analysis and Critical Control Points (HACCP) programs supported by strong foundational programs such as sanitation for processing equipment, proper personal hygiene, pest control, maintenance, product labeling, traceability and other key programs implemented across the business. The project will provide employment to around 4,000 people in the coming few years, which will boost the farmer incomes. During the past two years, Cargill has already donated two Cargill Cares Libraries and a water purification system to local Anhui schools. Cargill also has established Cargill classes to train local citizens in modern farming and agricultural management systems in three universities in Anhui province. Cargill is an international producer and marketer of food, agricultural, financial and industrial products and services. Founded in 1865, the privately held company employs 139,000 people in 65 countries. Cargill helps customers succeed through collaboration and innovation, and is committed to applying its global knowledge and experience to help meet economic, environmental and social challenges wherever it does business. For more information, visit www.cargill.com. Cargill’s business in China can be traced back to the early 1970s. Today we have a thriving presence in virtually every part of mainland China with 52 locations and over 7,000 employees. Cargill is committed to utilizing its global expertise to support China’s ongoing efforts in rural development and farmer income increase. In addition, Cargill’s contributions are aligned with China’s commitment to promoting sustainable agriculture, as well as a secure and safe food supply. We help China achieve these commitments by improving efficiency and adding value in the production, processing, distribution, and trade of food and agriculture products. 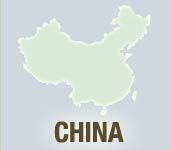 For more information, visit www.cargill.com.cn.